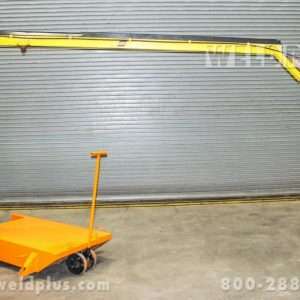 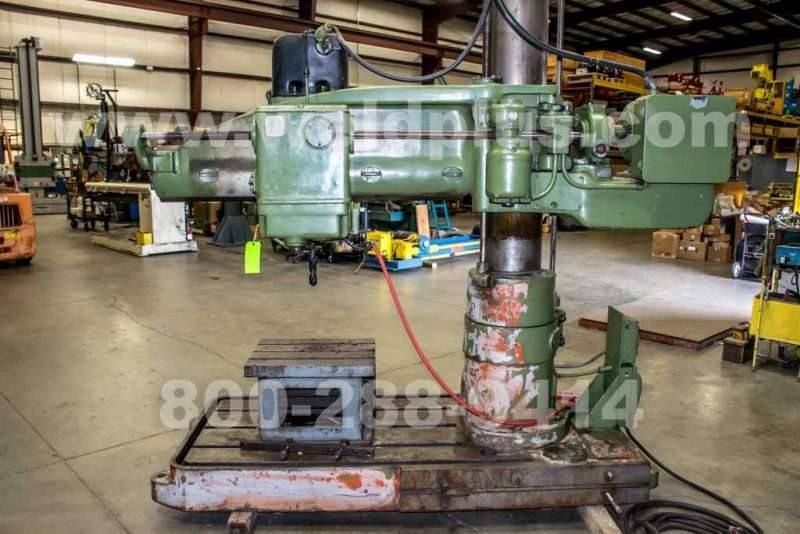 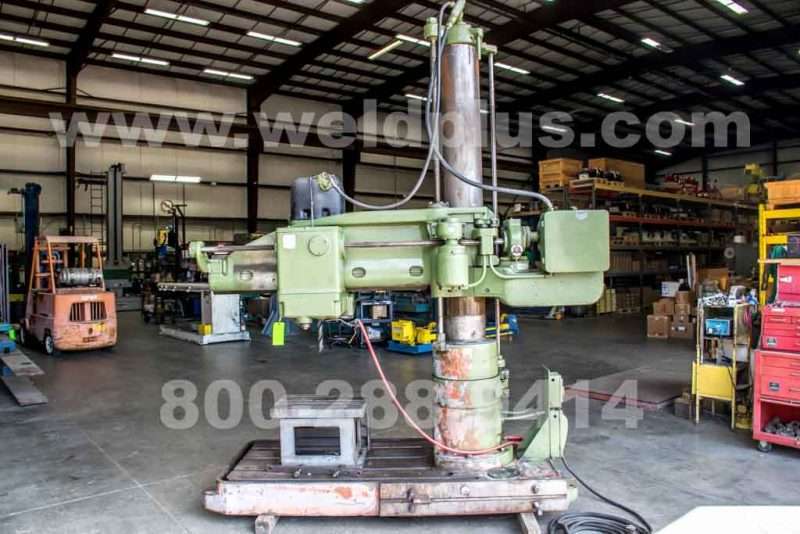 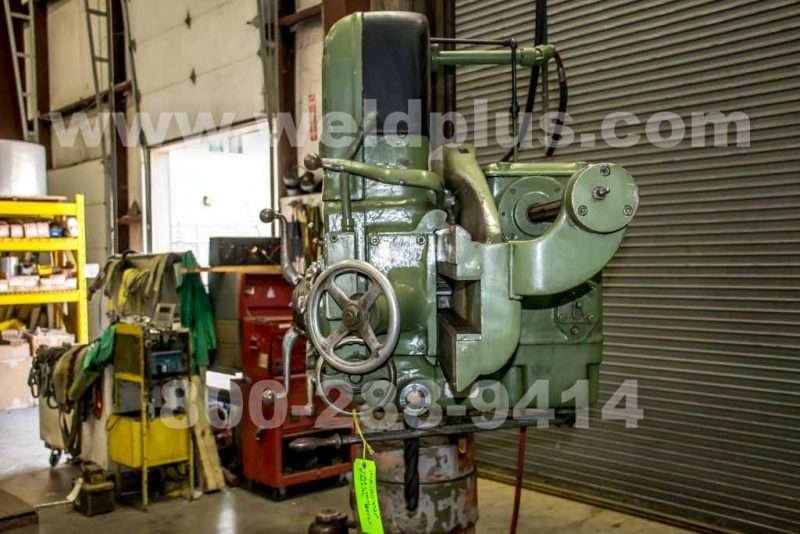 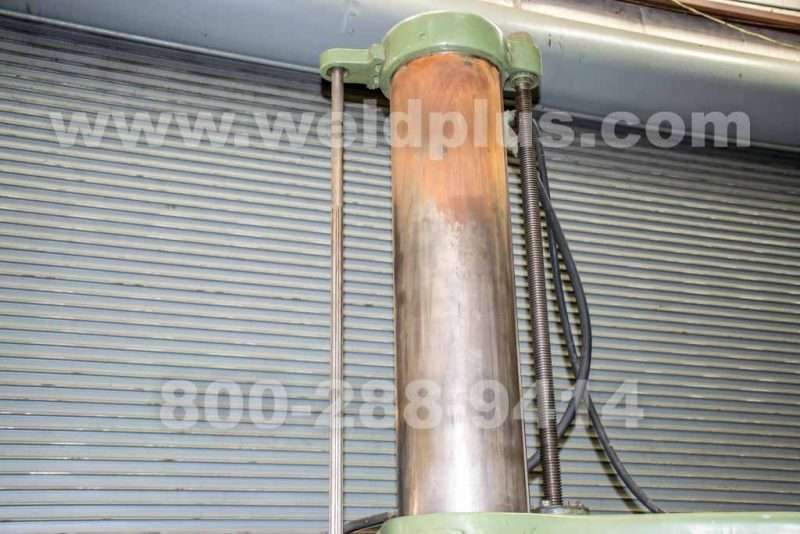 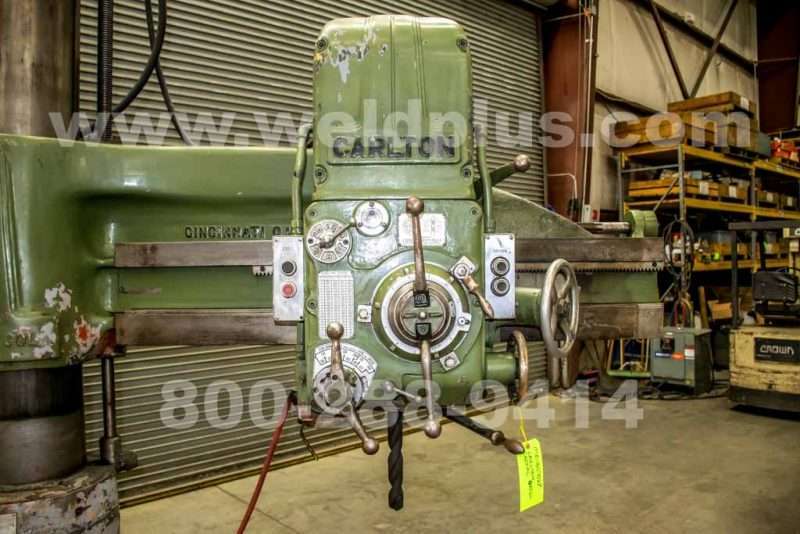 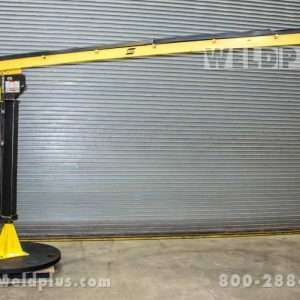 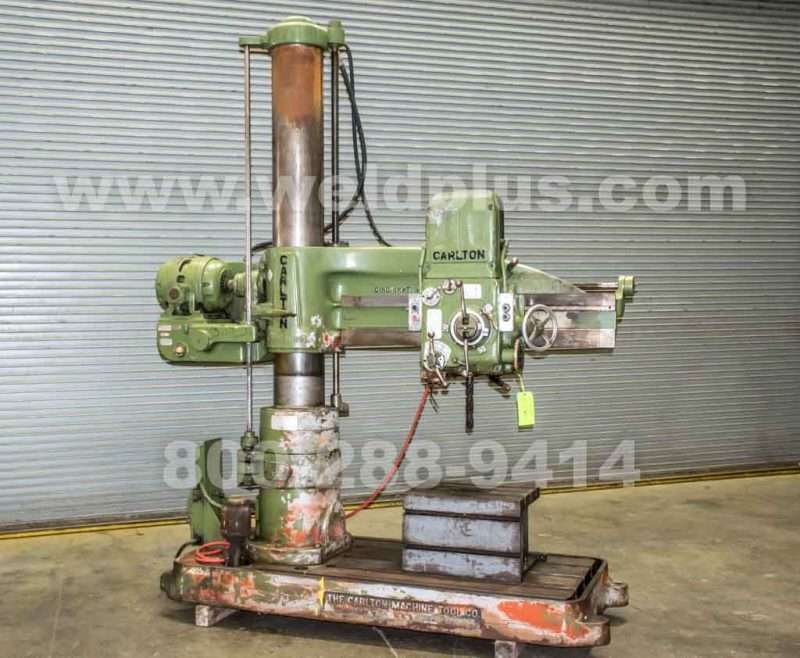 This used Carlton Radial Arm Drill features power elevation and power clamping. 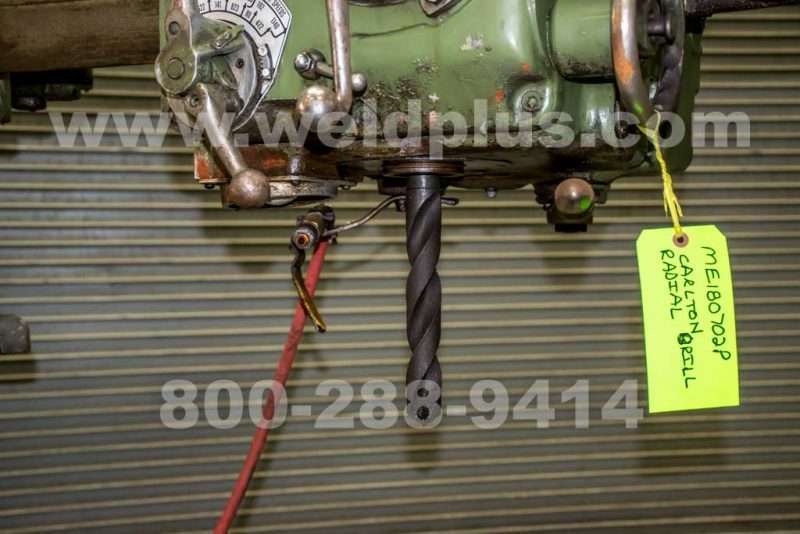 The drill has power quill feed with speeds up to .025 IPR. 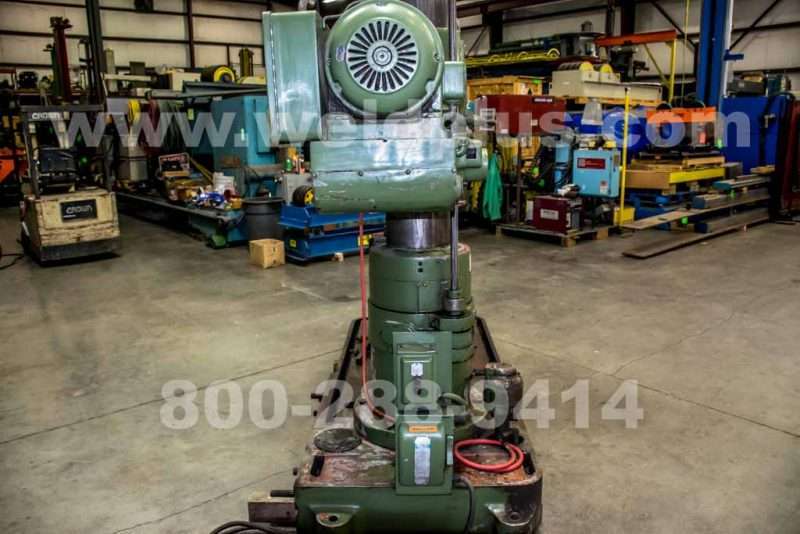 A 5 HP motor is installed which requires 220/440V, 3-Phase input power. 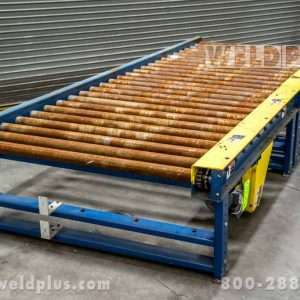 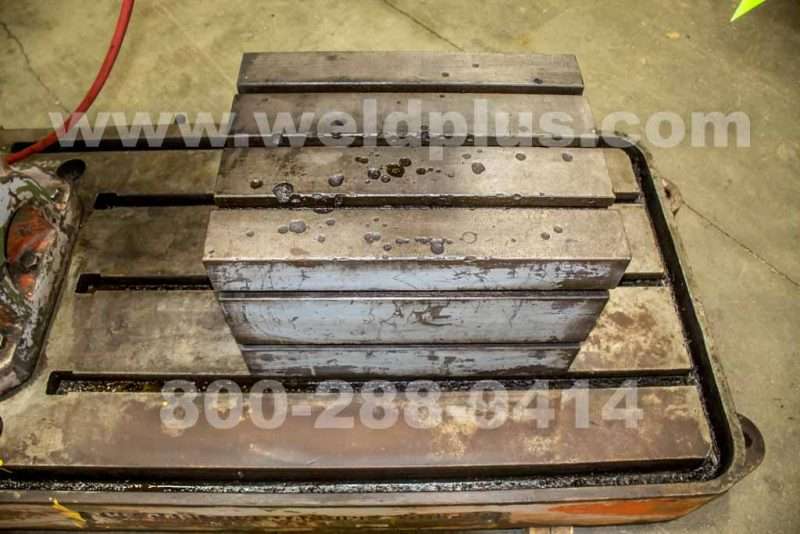 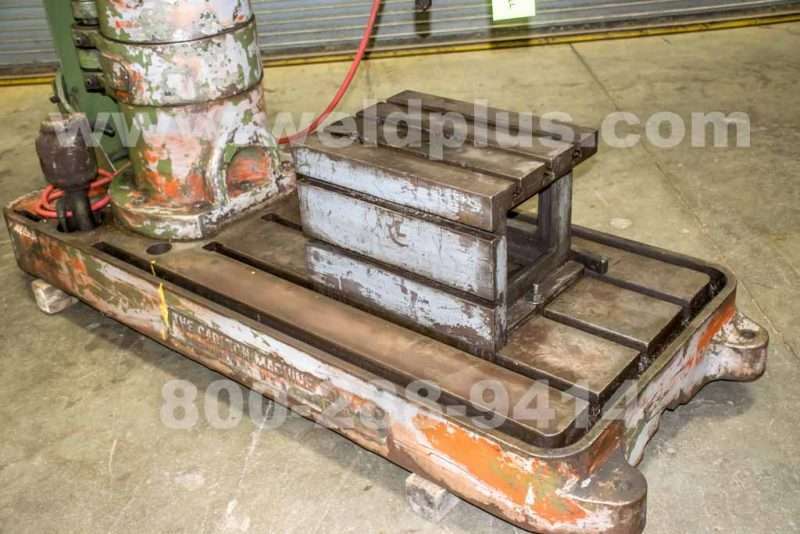 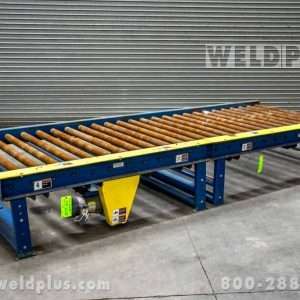 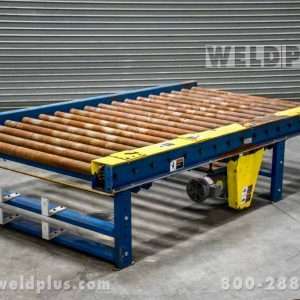 A 54” x 36” T-slotted base with riser is included for tooling. 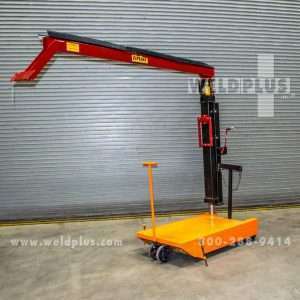 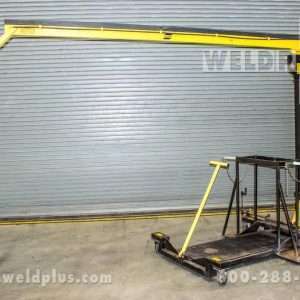 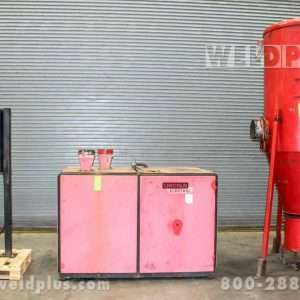 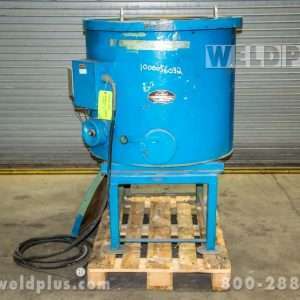 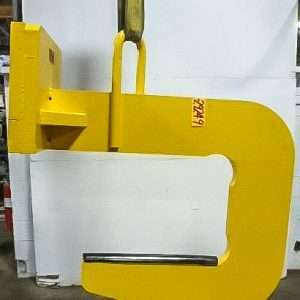 Call 800-288-9414 for more information on this machine.